HSMG Programs and Services Keeps it Coming! Another NEW Member Benefit! ﻿ Looking for a better merchant account solutions? We are pleased to announce that the HSMG is now offering a discounted merchant services program to the membership. This benefit is available to both Soapmaker and Vendor members. There are low rates for credit card, debit card and check processing, no application fee and all the tools you will need to accept VISA, MasterCard, Discover and American Express. GET STARTED WITH YOUR MERCHANT ACCOUNT TODAY! The internet is the fastest growing opportunity for people to start a business and begin making money. This is your opportunity to be your own boss and dictate how much money you will make. There is no better time to start your business than right NOW! Don’t wait any longer to begin processing payments online with this FAST and EASY process to set up your Immediate Merchant Account. It is as easy as filling out a form. This service is being provided by Ethos Payments, the rates are 1.64% Retail and 1.99% Internet. For full details please login to the member area and go to Merchant Services. Providing your customers complete satisfaction in their experience in your business is key to the success of your business. It is essential to offer all major types of credit and debit cards to give your customers the ability to pay according to their desire. Having the right equipment for your business will mean a fast transaction experience and give your business the ability to serve more customers in a single day. 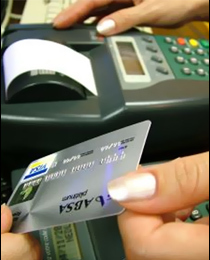 We offer a wide array of terminal and Point of Sale systems to accommodate your businesses needs. We employ highly experienced personnel to give you the support you need so you don’t have to worry about the pains of your equipment going down for extended periods which costs you money. Innovative value added services to give your customers more options and a better experience, including gift and loyalty programs, ATM, Check and E-commerce solutions. Cash Advance solutions to help your business with marketing, equipment or pay bills. Powerful sales reporting tools to help you maintain your business monitor your cashflow. By setting your company up with the correct merchant account, Ethos Payments can save you money, especially if you mainly sale through mail or telephone orders. Are you tired of constantly carrying around slips of paper and worrying about losing paperwork with credit card information on it? As a service business, you are constantly on the go and need a reliable solution to process payments while reducing the need of extra work and timely billing processes. Ethos Payments gives you the ability to take payment at the location of service immediately. this is so great !!!! We were just talking about this yesterday. How do I find out more about the POS feature? What wonderful news! I’m so proud of you all! This is good to hear! We hope more soap makers decide to sell online – we love seeing all of their amazing work! go to the members area and click on merchant services.